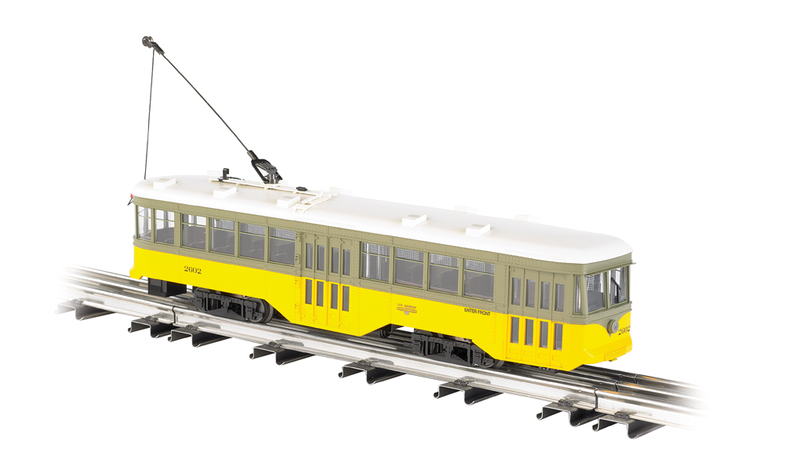 In late 2013, Bachmann announced a 1:29 trolley. First units shipped in 2014. This is an unusual departure for Bachmann, since they have never made a 1:29 model before. Lots of speculation on what this "means". My take is what they said, would be too large in 1:20.3, and would go with the existing Aristo 1:29. The model is well scaled, but it has some variations from the prototypes, mostly because many different municipalities had these. An interesting feature of many of these trollies was a "safety screen" on the left side of the car, so that when cars passed each other closely people could not hang out the window and hit another car or person. You can see it on this illustration. I was curious how to put DCC into this unit. I read in advertising that it had DCC capability. I looked for information on the 8 and 21 pin sockets and I could not get much data. I asked on forums about decoders since it came out and got nothing. Finally almost a year later Stan Ames indicated that the 21 pin socket was indeed an NMRA standard, but the NMRA site did not help (more later). Our Just announced 1:29 Scale Peter Witt Streetcar has a standard MTC21 interface that is fully compatible with MTC21 decoders in the market. 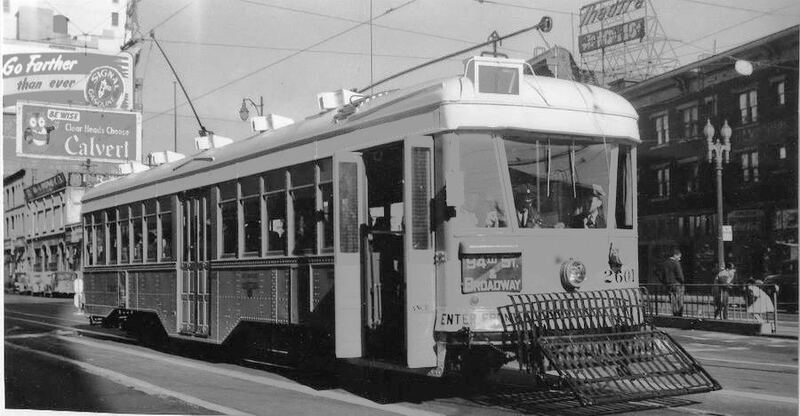 The streetcar has a standard 8 ohm speaker so must be used with decoders that support 8 ohm speakers. We also include an standard 8 pin socket that includes a solder pin for a second function output. That still did not give me all the information I needed, because by this time, the streetcar had destroyed a decoder, that DID meet the MTC21 standard. OK, there are several things wrong here, the standard, how Bachmann implemented it, etc. After a year, still no official word from Bachmann on decoders that work, only unofficial information on one that did not, thanks, I could tell by the smoke as the streetcar destroyed the decoder that it did not work! First, as of August 3, 2014, about a year after the announcement and release, there is nothing on the Bachmann site or documentation or on the box, or ANY literature that specifies this loco meets the MTC21 standard. The response from the "Bach-man" - I assume this is about as official as I will get - is as above, but the MTC21 standard is all over the place. There is no wiring diagram included. Be glad to help if I can Note the Zimo D version is not recommended per the Zimo website. I have no experience with this decoder. When you use a suitable decoder is simply plugs in. be required as long as locomotives with this connector exist. Not off to a good start Bachmann. So, what is the standard? In any case, there seem to be some pins in question. So whose standard does it match? At this time, the only information is coming from Stan Ames. From reading the table, the "generic 8 pin decoder with extra function" did not sound like a good idea, so a 21 pin decoder was obtained, and another reason was that I did not find an 8 pin decoder with extra function that had sound also. Note well, the NMRA considers the 21 pin interface an outdated interface and wants to discontinue it. Apparently this was adopted as a copy of the Morop 600 decoder standard. Note that the standard says that the part in the locomotive is male pins, not a socket. The socket is in the decoder. Note also "motor 3"? This is not use on DC or AC motors. Note also Hall 1-3, used for reading the Hall effect sensors of brushless DC motors. In any DCC install, the first thing you do is ensure that the motor and track pickups are isolated. As you see above, the streetcar is "ready" for a "standard" decoder that follows the MTC21 "standard". The other side of this board has 4 diodes, 2 resistors and a transistor. In the picture above you can see that there is now an 8 pin socket. At this point you can install an NMRA 8 pin decoder, or "keep going" to add the rest of the "sandwich" to basically "jumper" the streetcar for DC operation. Below is a picture of the DC dummy plug. It is a bit hard to see in this picture, but there are 8 (actually 7) pins "sticking out" at the camera. this plug basically connects the track pickups to the motor and the lights to power.